Washington, Feb 8 (IANS) US Senate on Tuesday confirmed the nomination of Betsy DeVos — President Donald Trump’s choice for the post of Secretary of Education after a tie-breaking vote by Vice President Mike Pence. “The Senate being equally divided, the Vice President votes in the affirmative and the nomination is confirmed,” Vice President Mike Pence said as he cast the deciding vote to make numbers 51-50 to clear DeVos for the cabinet position, becoming the first US vice president to do so. The Republican Party holds 52 seats in the 100 seat chamber, but two Republican Senators, Susan Collins of Maine and Lisa Murkowski of Alaska said they cannot back DeVos, who vigorously promoted charter schools and the school voucher system, Xinhua reported. Under this system federal funding would go directly the the households of students, allowing them to choose whichever school to attend. The vote is the closest yet for a cabinet nominee of US President Donald Trump, as Senators debated heatedly whether DeVos’s vision is suitable for the country. “A vote for Ms. DeVos is a vote to destroy the public school system,” Democratic Senator Tom Udall of New Mexico said. Other Senators questioned DeVos’ competency to guide the country’s education system, suggesting that her family background detached her from public realities. “For you to understand what it is like for students and families who are struggling to pay for college, have you ever taken out a student loan from the federal government?” Democrat Senator Elizabeth Warren asked DeVos during her confirmation hearing. DeVos said no and neither have her children. 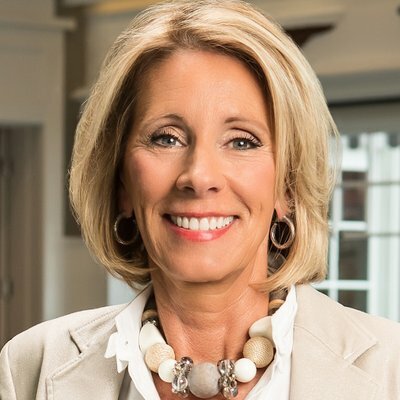 DeVos was nominated by Trump on November 23 for the office of Secretary of Education, she is a Michigan native who has been a long-time donor for the Republican Party.